Feria del Carrizo, San Juan Guelavia — Sunday, February 4, 2018 — Don’t Miss It! Carrizo is hand-woven river reed. 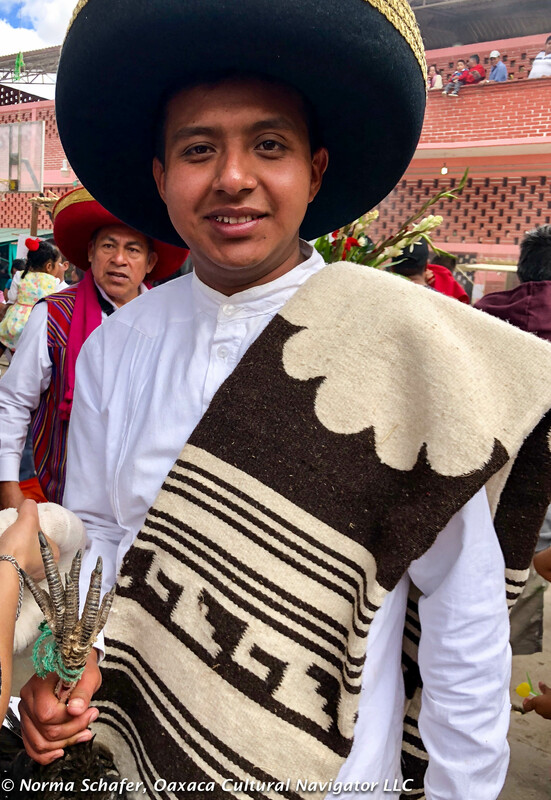 It’s another form of artisan weaving here in the Valles Centrales de Oaxaca — the Central Valleys of Oaxaca. The village most well-known for their baskets made from this plant material that is similar to bamboo is San Juan Guelavia. It’s just across MEX 190 Carretera Nacional from where I live in Teotitlan del Valle, about 40 minutes outside Oaxaca City on the road to Tlacolula. 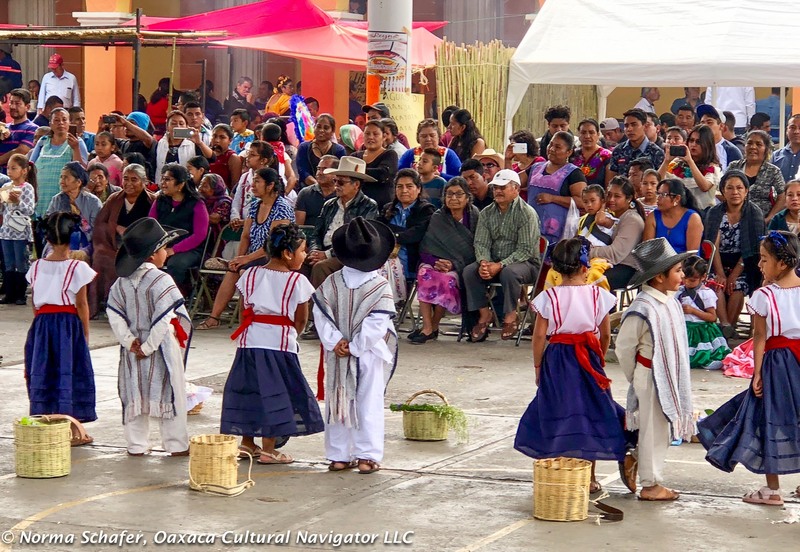 The Basket Festival runs two Sundays each year, the last Sunday in January and the first Sunday in February. 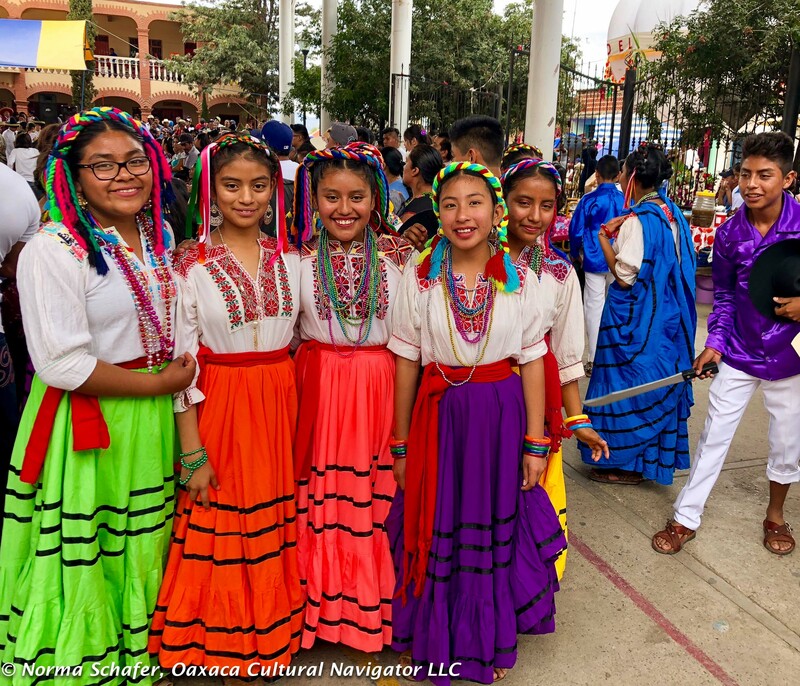 It has grown to become an extravaganza, complete with a mini-Guelaguetza style dance festival, amazing homemade food including barbecue lamb, hot-off-the griddle tortillas, quesadillas, memelitas, fresh fruit waters, beer and mezcal. In fact, these local festivals bring out artisanal mezcal distillers who do not export but have managed to bottle and label their elixir. After sharing an agua miel, the first juice of the pulque cactus before it begins to ferment into pulque, and after lunch on our way out, Jessica and I decided to stop for a mezcal tasting along the roadside. The 200 peso bottle of local Madrecuishe was every bit as good as those I have bought and tasted from brands that are marked with a fancy art label and exported to the USA where you can buy it for $200 USD. Two hundred pesos, my friends, is $11 USD. 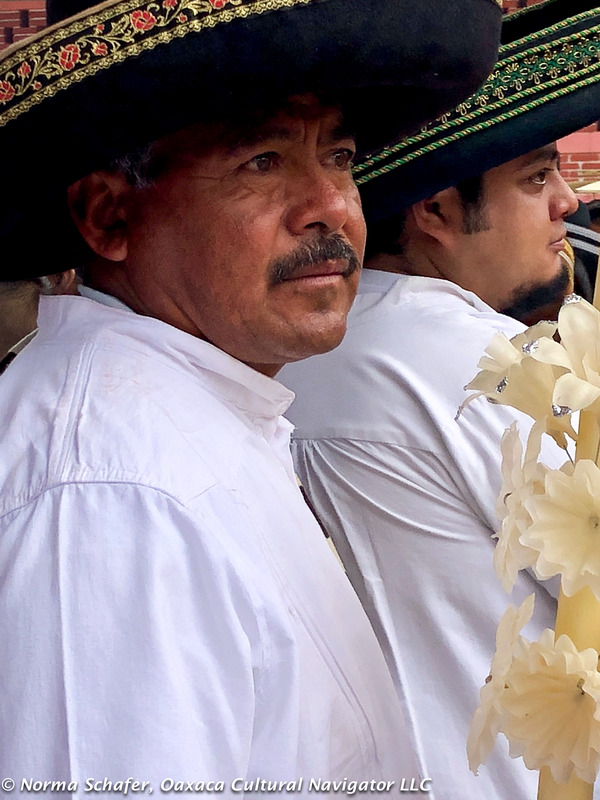 Some say Oaxaca is changing because of the mezcal craze. Foodies and beverage hounds are arriving by the plane full to frequent mezcal bars and upscale restaurants. But, life in our pueblos continue as it has over time with just a few modifications. The Feria del Carrizo something I always look forward to and I’m very happy when I am here at the end of January to savor the experience. I’ve attended this fair since 2013, its second year. 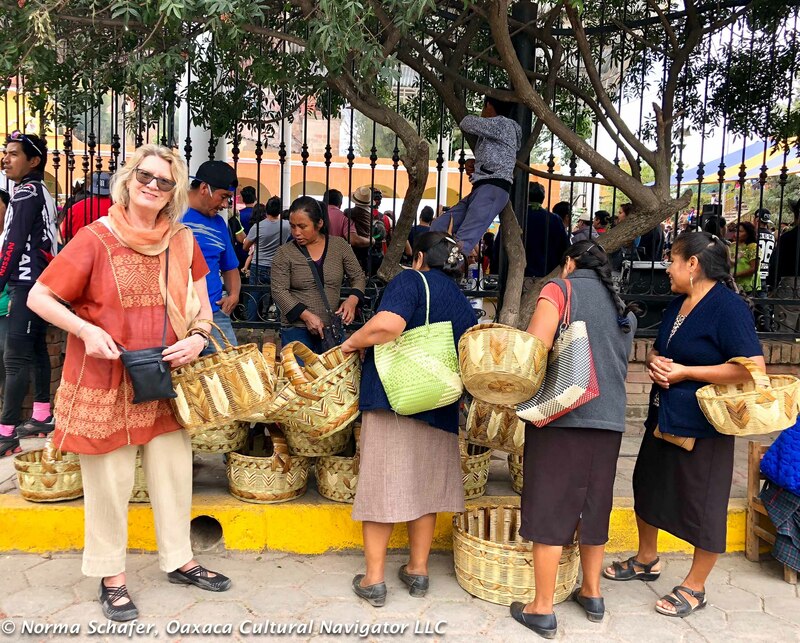 Early on, the fair featured the basket makers who sold their craft from the raised platform surrounding the zocalo. Perhaps a few hundred people attended. Do you see the guajalote feet? Part of the offering to the mayordomos. 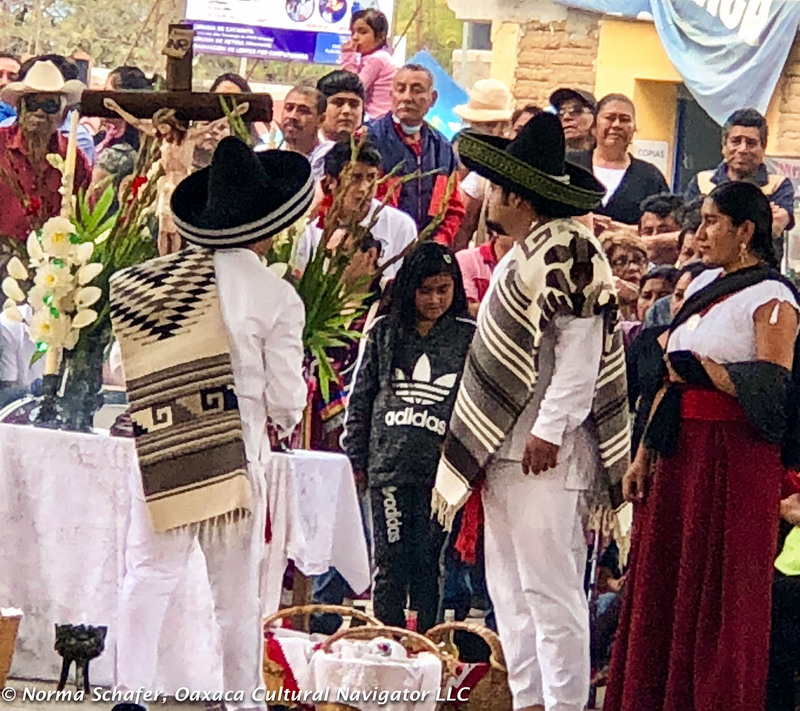 Now, the basket vendors line the main street along with carnival rides, pulque and mezcal sellers, and red clay potters from neighboring San Marcos Tlapazola. The raised platform is filled with people eating on portable tables and folding chairs. The zocalo is a constant flow of performers, the periphery is lined with food stalls. Thousands were enjoying a sunny Oaxaca day. 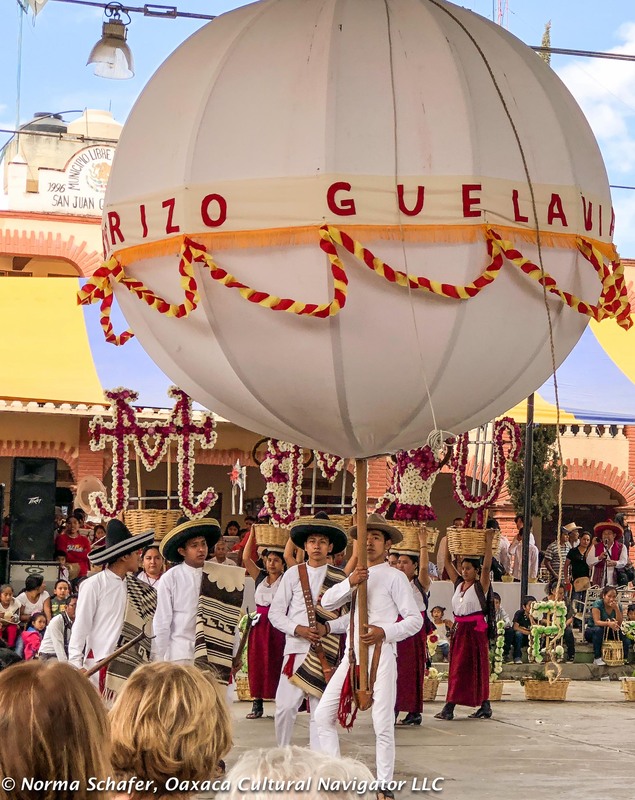 If you want a taste of village life, spend Sunday, February 4 in San Juan Guelavia. Sip agua miel for 15 pesos. 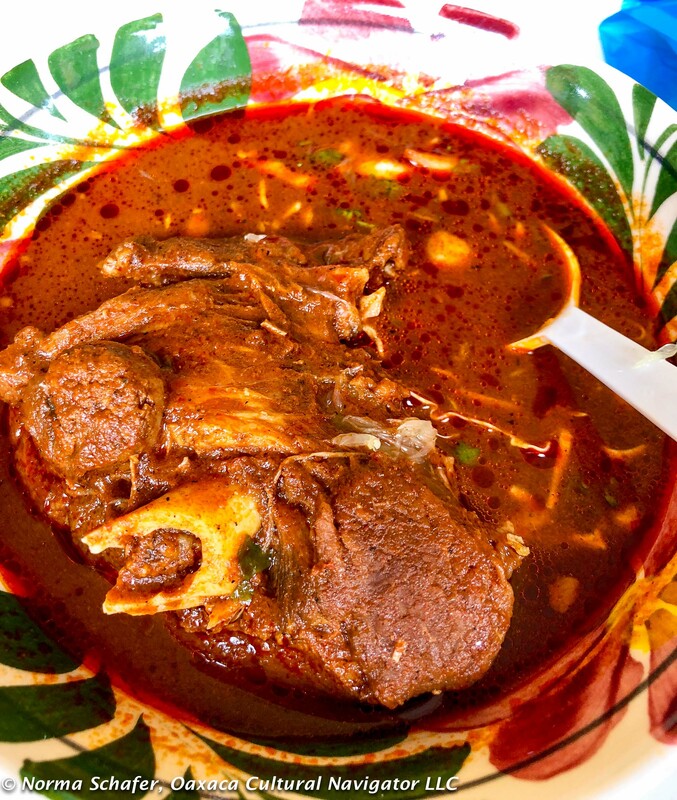 Get a bowl full of barbacoa for 70 pesos. Drink a beer for 20 pesos. Buy a beautiful basket for 150 pesos. Enjoy the dancing and music, and people-watching. It’s free.